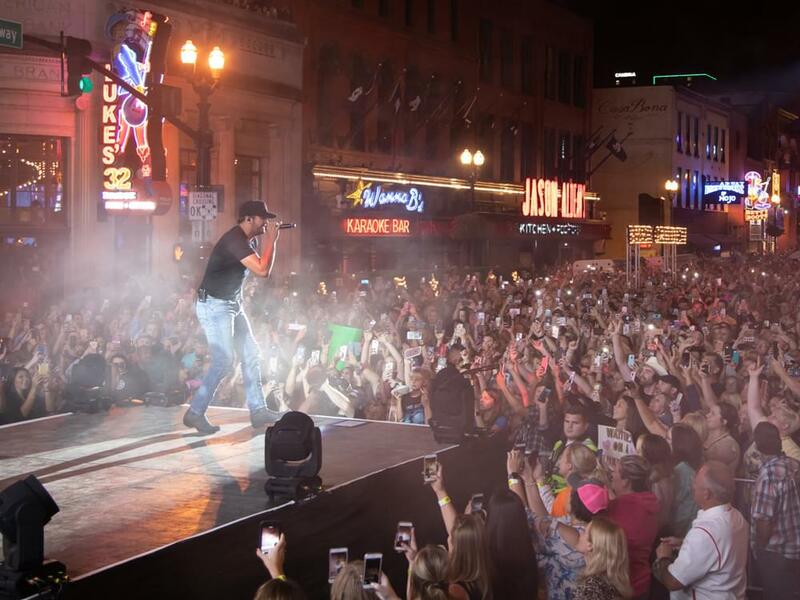 Luke Bryan treated 30,000 fans to a free outdoor concert in downtown Nashville on Sept. 10 to celebrate the grand opening of his new restaurant, Luke’s 32 Bridge Food + Drink. After openers DJ Rock, Chelsea Field and Jon Langston got the party started, Luke hit the stage for a 90-minute set that included appearances by Cole Swindell and Ryan Hurd. Check out Luke performing his recent No. 1 hit, “Sunrise, Sunburn, Sunset,” with Ryan Hurd, one of the song’s co-writers.